After worrying that my trip abroad may not provide the sort of science-fictional entertainment that I’m accustomed to, I should’ve realised: if there’s something nerdy to be done, I will find a way to do it. Berlin has been a whirl of tourist sights, lessons in history, cabaret clubs, and a few back alley bars. 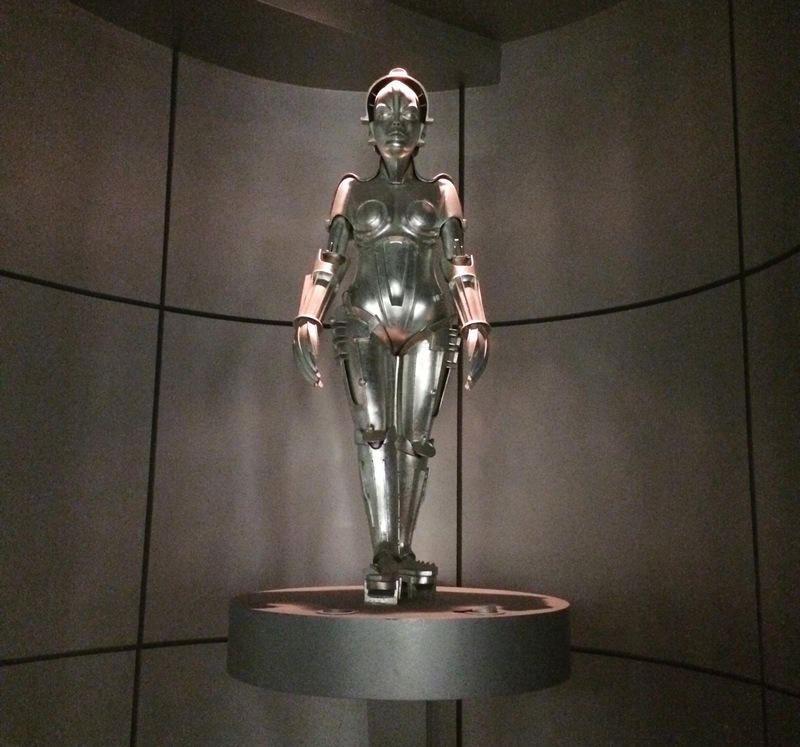 But one of the highlights was the Berlin Museum for Film and Television, where there’s an entire permanent exhibit dedicated to Fritz Lang’s Metropolis (1927). Metropolis is one of the most influential sci-fi films ever made, and one of my favourites. My lounge room at home features a giant poster of the film bordered with a gold Art Deco frame. Its visions of towering cityscapes and infernal machines have influenced films such as Blade Runner, Star Wars, and The Fifth Element. And it wouldn’t be an exaggeration to say that all subsequent sci-fi cinema owes something to Metropolis. Fritz Lang dreamed on a grand scale. His pioneering use of practical effects set a standard for decades. It is the tale of a class struggle between the rulers of the city, living in their stately Olympian palaces, and the workers, who dwell in the dark places beneath the city, operating the diabolical machines that keep the city running. The workers are incited to rebellion by a robotic woman, who has taken the likeness of the heroine (but certainly none of her Christian virtues). The anxieties it expresses – modernisation, the mechanisation (and dehumanisation) of the workforce – are representative of Germany in the 1920’s. It is also an interesting examination of the role of religion in the Industrial Revolution, with the pure Christianity of Maria being subverted by the diabolical power of machines. The exhibit at the museum was a wonderful tribute to the film – lots of concept art, part of the original script, and videos playing endless loops of key moments from the film. 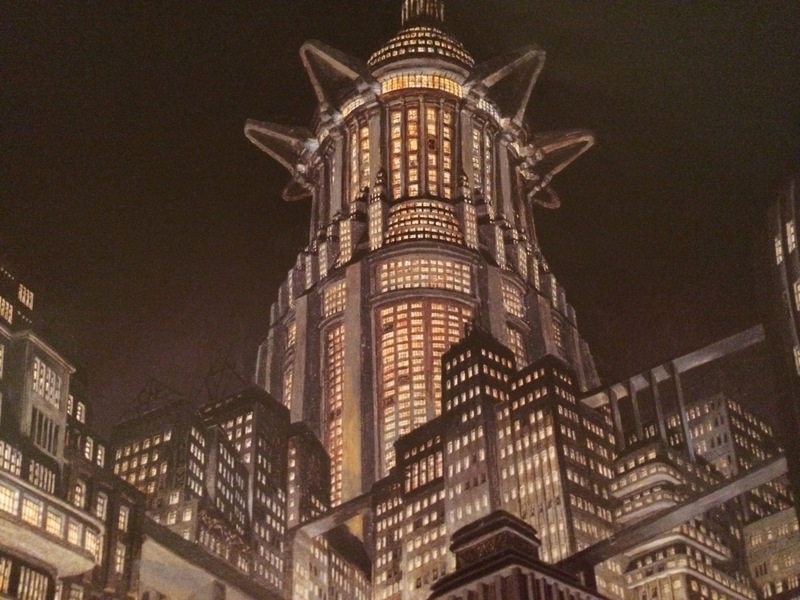 I’d never seen some of the concept art before, and was delighted to find it a subtle blend of pulp visions of tomorrow and Art Deco grandeur. The centrepiece of the exhibit was a recreation of the robot, Futura. Coming face-to-face with its iconic features was a pretty special moment. Having spent the last week in Berlin, it’s clear to see how the city itself inspired Fritz Lang’s vision. The Art Deco facades on some of the older buildings appear to be just out of the film. I can imagine the taller ones – the Berliner Dom, the Brandenburg Gate, looming over an impressed Fritz Lang. And then there’s the dark underbelly of Berlin, the seedy alleyways and industrial areas. Where the workers toiled. Far removed today from what they would’ve been like in the 1920’s, but they provide hints at what it was like. And aspects of the film are still reflected in the design of the city. 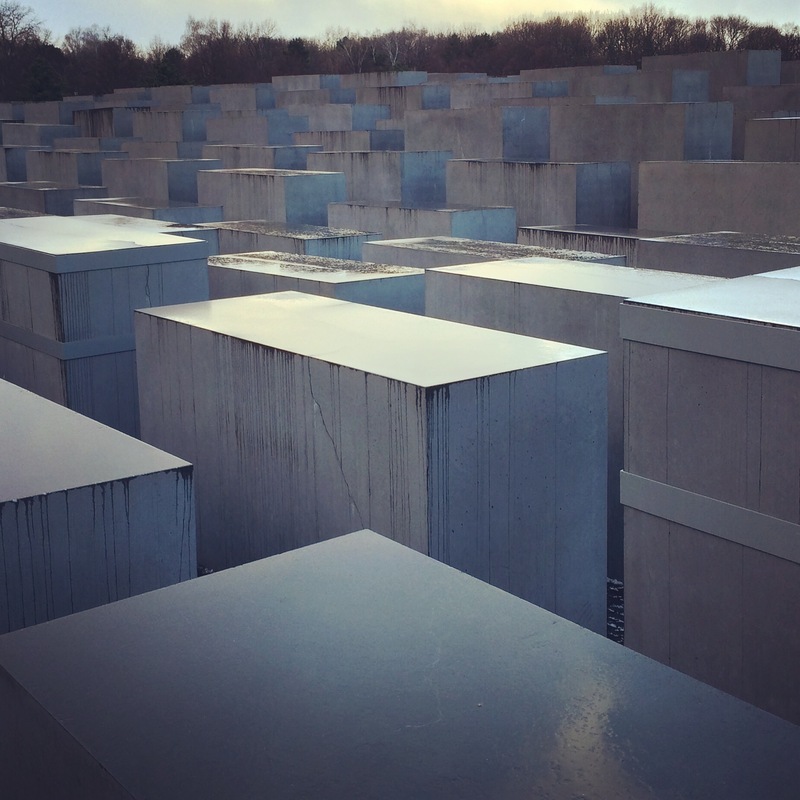 When looking at the imposing square grid of the Holocaust Memorial, I couldn’t help but be reminded of one of the posters for Metropolis, with the buildings rising above each other (see above). The embodiment of the class struggle between rulers and workers in the architecture of Metropolis is one of film’s greatest achievements. Berlin might not have the long urban canyons and towering skyscrapers of New York, but it has the jarring juxtaposition of opulence and destitution that unmistakably shaped Lang’s Metropolis. Thanks for the comment! When I was writing about the inspiration of the city, I didn’t necessarily mean the architecture – I think the social structure of pre-War Berlin had a huge part to play in inspiring Lang. It’s the juxtaposition of decadence and poverty that really shines through in Metropolis, and Lang would’ve seen that in Berlin (and elsewhere, likely). You’re right about the architecture of NYC, though. Also inspired Hugo Gernsback’s Ralph 124C 41+. Thanks!